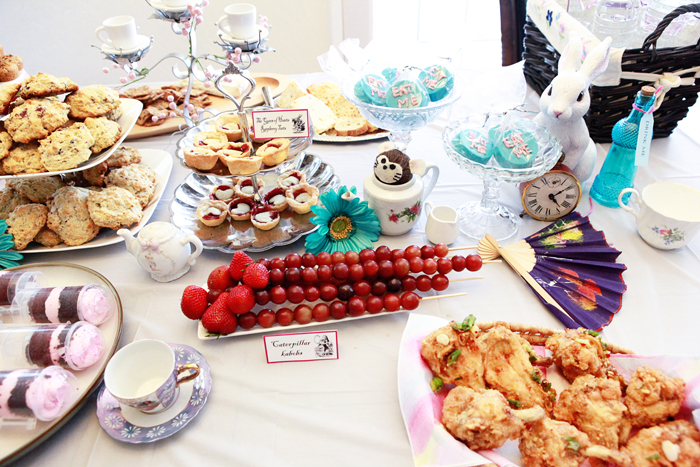 My übercreative cousin Amy put together this brilliant Alice in Wonderland birthday party for her daughter Audrey over the summer. 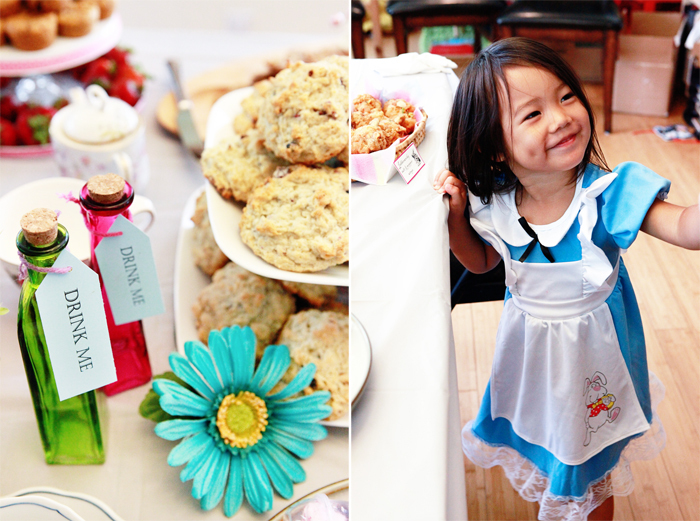 I'll be sharing the fantastic wonderland that Amy dreamt up in three different posts. 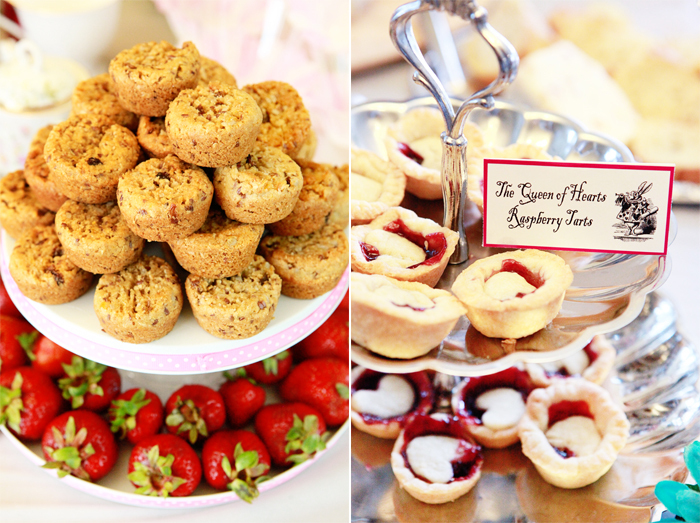 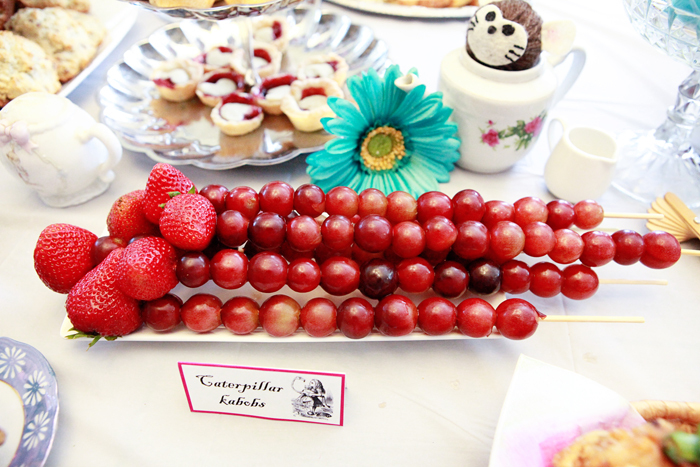 Today's post is all about the whimsical menu: Mad Hatter tea sandwiches, Jabberwocky salt & pepper wings, caterpillar kabobs, mini "eat me" cakes, The Queen of Hearts raspberry tarts, Cheshire Cat tails, wushrooms (Audrey's favorite! 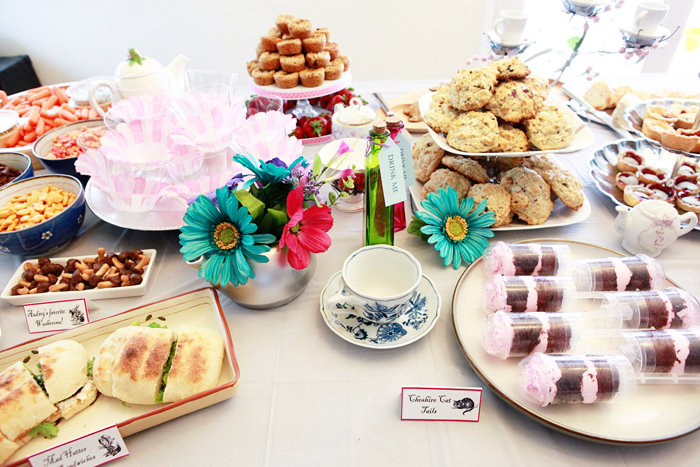 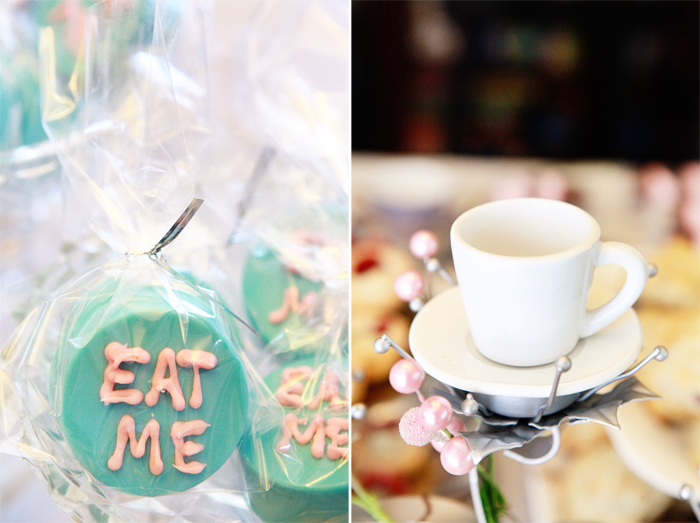 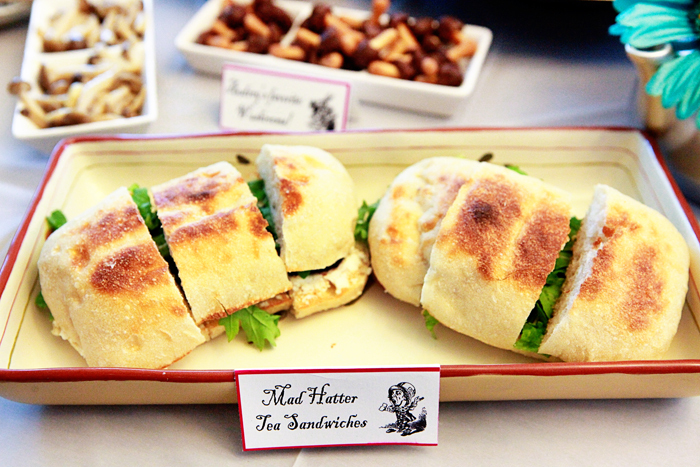 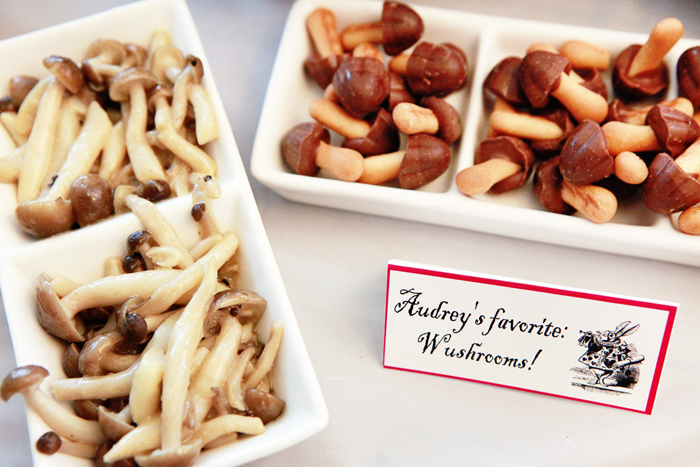 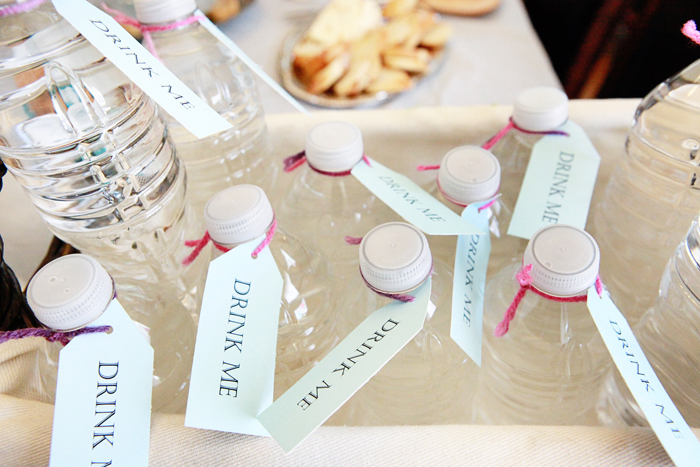 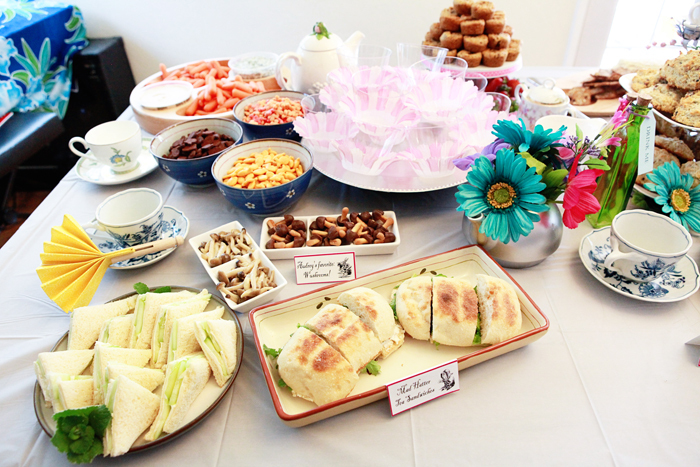 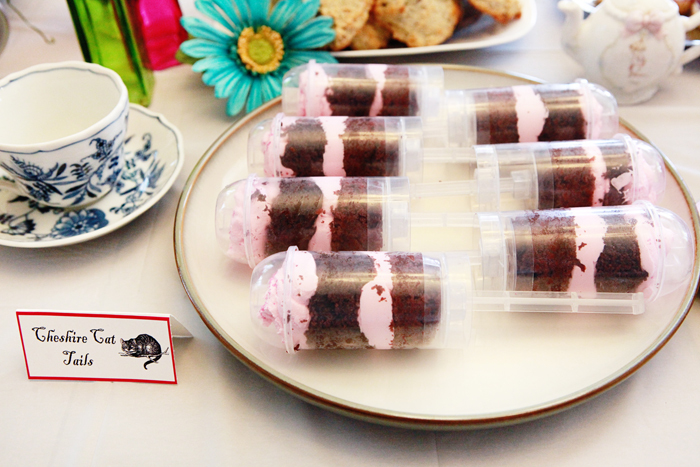 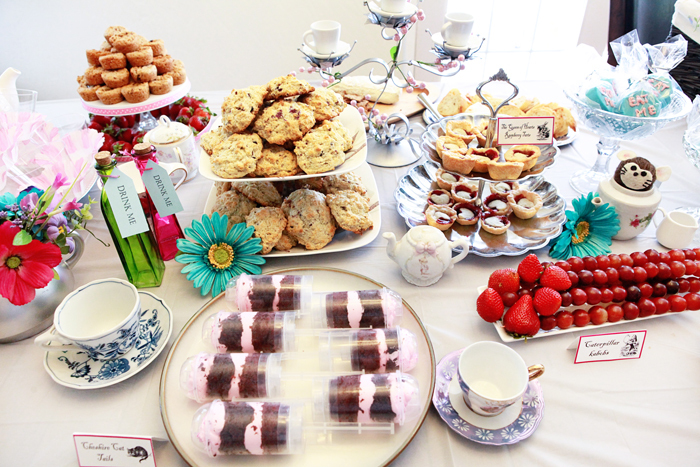 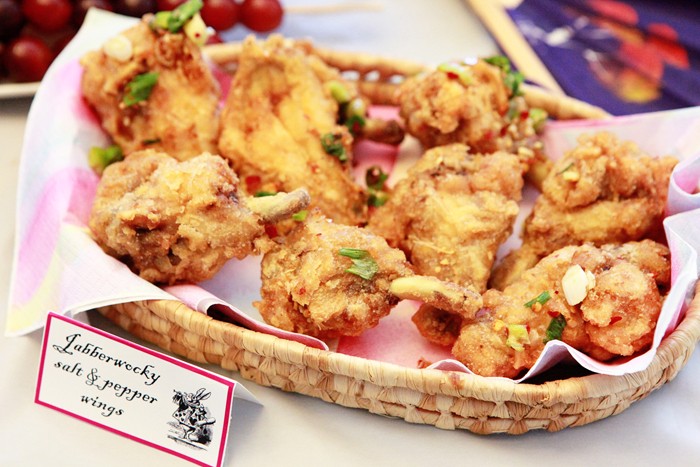 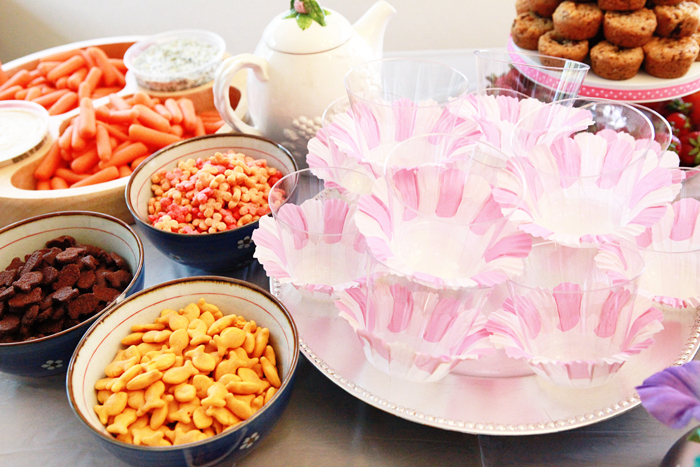 ), snacks served in flower cups and more toothsome edibles befitting a delightful tea party.